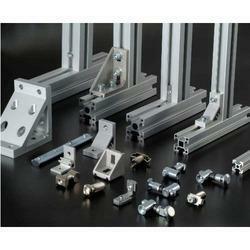 We are a leading Manufacturer of t nut, aluminum profiles and industrial aluminum profiles from Mumbai, India. Backed by a team of trained and qualified employees, we have come up with an inclusive collection of T Nut. 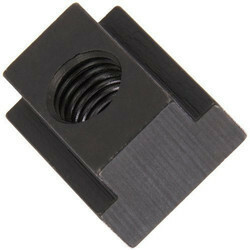 Their extensive uses in many industrial purposes make these an acclaimed and popular choice of our patrons. In addition to this, these offered products are obtainable with us in a variety of dimensions and stipulations to choose from. We are persistently engaged in offering a comprehensive array of Aluminum Profiles to our clients at cost effective rates. The provided range is constructed using high-quality raw material carefully obtained from some of the trusted vendors of the market. The product is available in different grades of thickness, sizes, and shapes in line with our individual client’s requirements. Clients appreciate the offered range for its high corrosion resistance, resistance to weather, heat resistance and even impact resistance. 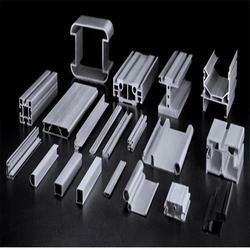 Product DescriptionWe have been consistently offering a wide gamut of Industrial Aluminium Profiles. These profiles are manufactured using quality examined aluminium by our skilled professionals at our well-equipped production unit. Our offered profiles are widely used at industries for manufacturing of shutters, doors, ventilators and sheds. Furthermore, these Industrial Aluminium Profiles can be bought from us at nominal prices.